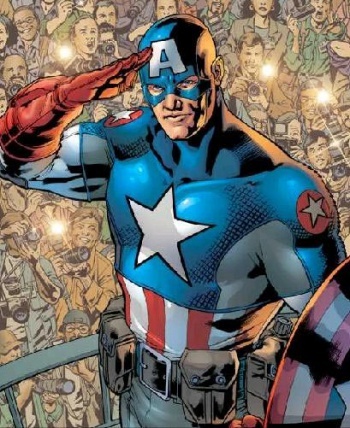 Comixology learned from last month's catastrophic failure, and this time the company is dead set on giving you 700 Marvel Comics #1 issues totally free of charge. Almost exactly one month ago we reported on a promotional effort gone horribly awry. Marvel Comics had joined forces with online comic distribution firm Comixology to give readers 700 different first issues from Marvel's massive catalogue, only no one predicted the massive turn out of eager comic book fans hoping to download all 700 issues at the same time. Comixology's servers buckled under the stress and both the site and its mobile apps were unavailable for nearly 72 hours. Undaunted, Marvel and Comixology reassured fans that they would get their free comics, but there would be a bit of a wait while the two firms figured out how best to distribute such a massive amount of free reading material. Apparently the duo has sussed out a solution to the problem, as Comixology is once again offering users an unreadably massive amount of free comics. Unlike the last time however, Comixology has instituted a few caveats to the deal to make sure that everyone gets their fill of Marvel's books and nobody's servers go up in smoke. Here's how it works: You must have a Comixology account (which is free), and you must visit this promotional page by April 9 at midnight - if you aren't in front of a calendar, that's tomorrow. Once there you'll be able to click a "Sign Up" button which will drop your name into a virtual hat. Then, on April 11, Comixology will begin contacting people with information on how to download all of those free comics. This staggering system prevents an overload of Comixology's servers, while also ensuring that anyone who wants free comics can have them. You may have to wait a bit, but it's not like you're paying for these books, so the wait won't kill you. Comixology's promo page also includes a disclaimer advising people not to worry if they don't hear anything on April 11. There's no apparent time frame for how long the firm will be contacting people about their free comics, so you may have a bit of a wait ahead of you.